Before we jump into the doughnuts, we have some news! Things have been a little bit crazy over in the AHARA HEALTH home… but crazy in the most fun and wonderful way! 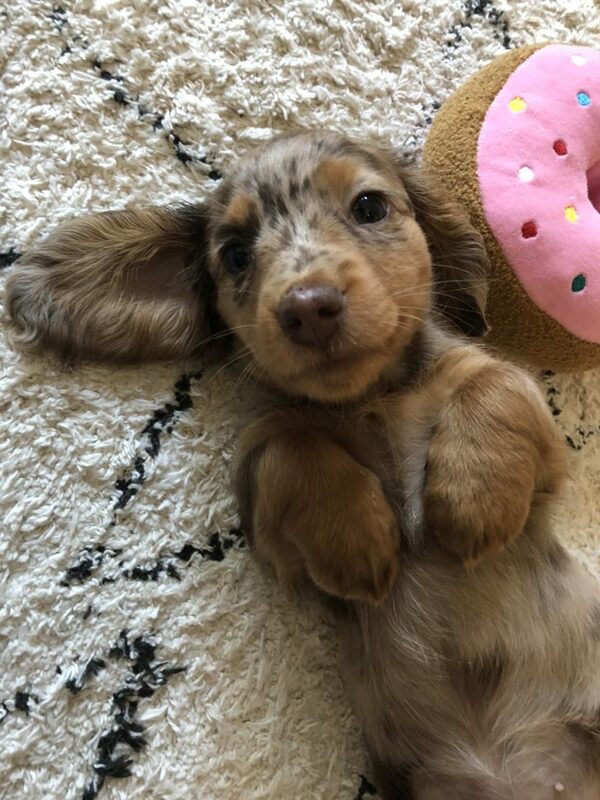 After being in love with Dachshunds for over 20 years we officially welcomed one into our little family – Piper Hazelnut! She has been with us for just over a week and already taken over the home (and laps). She likes all things chicken and munching on carrots, broccoli and stealing lettuce from the grocery bag. With a couple of sleepless puppy nights behind us, it was time to play in the kitchen. There is something so magical and grounding about freshly baked goods and I wanted these little delights to be no different. They not only make your home smell delicious – they are delicious! Buckwheat has a subtle earthy flavour that pairs perfectly with the warmth of cinnamon. 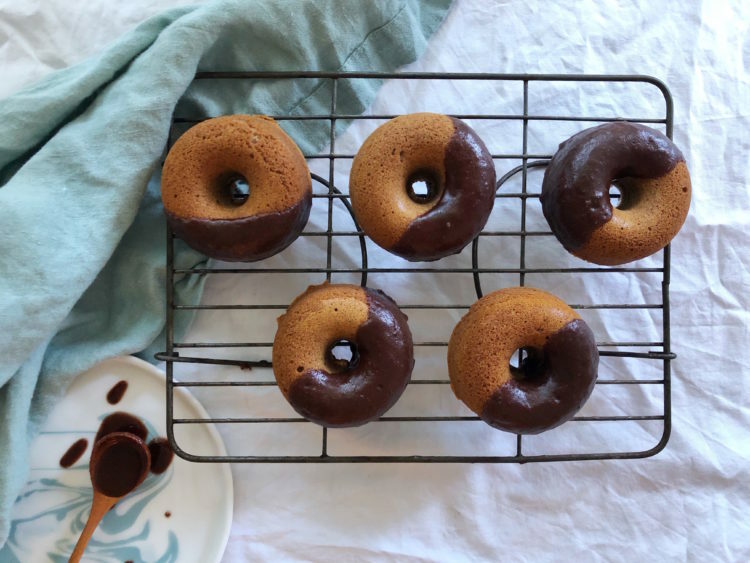 As these doughnuts are baked not fried, they are a much healthier option than their food court counterpart and only takes 15 minutes to make from start to finish which means you can whip them up any time the mood strikes! Buckwheat is a gluten-free flour and available from most health food stores and supermarkets. This doughnut tin was found at my local Coles however they can be purchased from most kitchen stores. This recipe is gluten free, wheat free, dairy free, refined sugar-free. 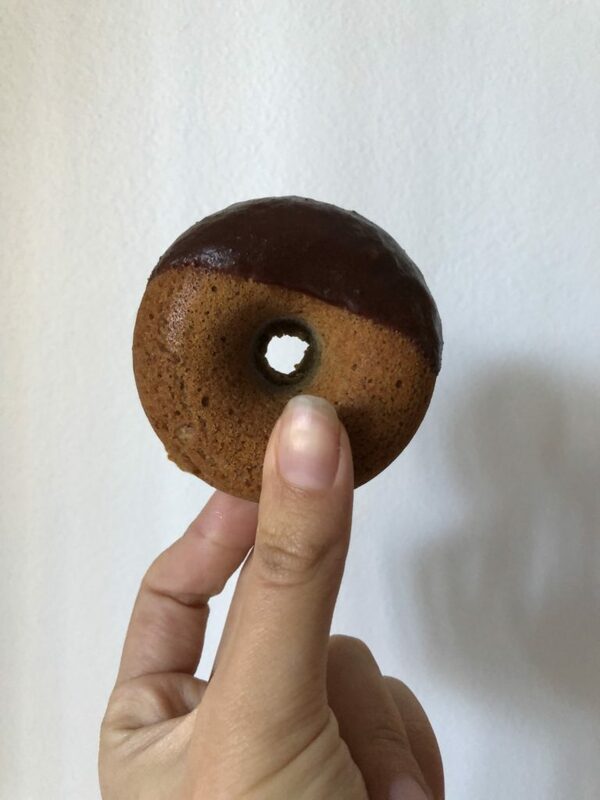 Preheat the oven to 180 degrees Celsius and lightly oil the doughnut tin to prevent sticking. In a mixing bowl add the buckwheat flour, cinnamon, baking powder, bi carb soda and with a dry spoon mix together. Add in the remaining wet ingredients and mix well. Once mixture is ready, gently spoon (or pipe) in the mixture, filling the baking tin approx. halfway. Place in the oven for 10 – 13 minutes or golden brown. Allow to cool, remove from the pan and set aside. If you prefer dust with extra cinnamon and enjoy as is or dip doughnuts in chocolate mixture. In a small bowl, mix all the ingredients until nice and smooth. You may need to add a little extra coconut oil is mixture is too thick. Dip cooled doughnuts into the chocolate mixture and enjoy.